The critics who predicted the California primary election would be confusing, specifically for those “No Party Preference” voters, were right on point. Throughout the state, from Los Angles to San Jose to Antioch, countless voters complained of inept poll workers, many of whom did not know the proper information or protocol. The problem, for some, seemed even more intense in Silicon Valley. Dave Vargas, who was voting at registrar headquarters on Berger Drive in San Jose, said he didn’t get a ballot with the presidential nominees on it. He didn’t realize he could have requested a crossover ballot. “I was really hoping to vote for Hillary Clinton,” Vargas said. He returned to the polling booth hoping to find a way to resolve the issue to no avail. 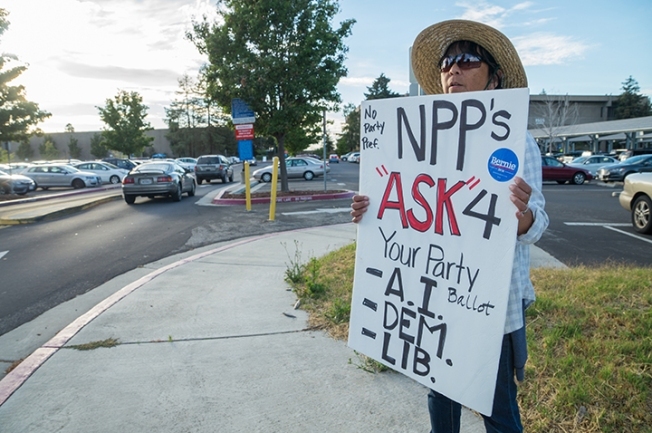 While many other counties in California instructed poll workers to present all NPP voters with menu cards to choose their ballots, Santa Clara County did not. No party preference means in a presidential primary, such a voter can vote Democrat, Green Party or Libertarian, but not Republican. Santa Clara County registrar officials countered that they put in a lot of work to make sure people were adequately informed about voting rules and any changes. They said the county sent detailed voter information to resident’s months in advance and even used their social media platforms to remind and inform voters of specific rules. However, other than a post card sent to registered voters, one tweet and two Facebook posts published on May 28 that specifically addresses the crossover ballot, an NBC Bay Area review found the registrar’s office in Santa Clara County did little else to inform voters on the proper protocol on how to request a crossover ballot. A federal lawsuit filed in San Francisco by an Oakland firm, alleged that this exact scenario would play out. A judge, however, on June 1 had dismissed the claims, saying essentially everything would work out. And by the end of Tuesday night, and into the wee hours of Wednesday morning, the election process, despite frustrations and confusions, did result in two winners. Hillary Clinton and Donald Trump were both elected the nominees of their Democratic and Republican parties, respectively.